The wheels are driven, but not dependent on a transaxle. Tesla's vehicles (Model S and Model X) are so far the only ones to use such a system. Today, the designation AWD is becoming narrowed, particularly in North America, to apply to vehicles with drive train systems that have permanent drive and usually include a differential between the front and rear drive shafts. However, the designations AWD and all-wheel drive long predated the trend, with Associated Equipment Company (AEC) building AWD trucks in conjunction with FWD (UK) in 1929, and General Motors manufacturing a line as "all-wheel drive" as early as the late 1930s. This distinction in terminology is not generally used outside North America. When tire grip is good during road driving, a differential is used between the axles to avoid driveline windup. This is not required off-road, as the limited grip allows the tires to slip. All-wheel drive vehicles designed for extensive off-road use may not have such a differential, and so they suffer from wind-up when used on-road. Selectable 4WD also avoids this problem and requires only a simple dog clutch in the transfer case, rather than a differential. For this reason, most early off-road vehicles used that system; e.g., Jeep, Land Rover. As vehicles became more sophisticated and tires gave better winter performance in the 1960s there was an interest in giving the benefits of all-wheel drive to conventional cars; not for off-road use but for winter use in snow or on wet roads. Exotic vehicles such as the high-powered Jensen FF followed by the AMC Eagle, Subaru Leone and Audi Quattro series were the first to offer all-wheel drive in a high-speed road-based car. These, particularly the Quattro, would extensively develop this drivetrain with the use of viscous couplings and differentials to provide a safe and drivable car. The first off-road / on-road hybrids such as the Range Rover also chose the permanent all wheel drive system rather than manual selection. Four Wheel Drive or FWD, one of the first companies, from 1909, to build four-wheel drive vehicles. 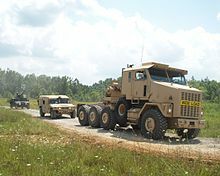 Wikimedia Commons has media related to All wheel drive vehicles.